Just a few years ago, the business industry thought there can’t be anything better than the eCommerce. Brace yourselves! The boundaries of typical eCommerce are exponentially and constantly being expanded by the Social Commerce. Businesses that are able to harness the power of social commerce are the ones who are able to survive and succeed in the current business environment where the geographical lines and limitations are fading away. So where do you stand on the scale of social commerce success? Unfortunately, there are still a number of small businesses that do not properly understand the concept of social commerce. This ignorance becomes a huge hurdle in their success, and naturally, the chances of survival are considerably low for such businesses. If you wish to understand and utilize social commerce to its full potential, you need to understand what it is and how it works. Social commerce refers to the idea of utilizing social media as a marketing tool in a manner that triggers as well as enables sales. It is often defined as social shopping, which isn’t wrong but the term social commerce is far more expansive than social shopping. In other words it is when you sell your products on social media and not just through it. Sounds simple! Then why does it matter and how? Social commerce tends to be pervasive and persuasive. Due to the interactive nature of social media, social commerce makes customers feel comfortable and in control of their decisions. It retains the actual essence of shopping at it always has been a social activity. It is more or less the difference between buying something on the retailer’s recommendation and purchasing a product based on your friend’s suggestion. While it appears as if the power is completely in the hands of the customers, social commerce gives enough control to businesses as well. It is much easier for businesses to stay aware of what people are saying about their offering, and direct that conversation in a positive direction. And finally, the real source of social commerce’s power comes from the search engines, which seem to love the buzz. Optimized and active social profiles are bound to give you a boost on the listings. While social commerce is the real deal, effective utilization of its power and potential is the key to success. 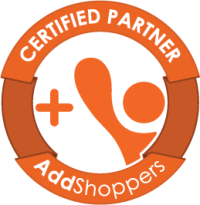 There are now a number of innovative tools such as AddShoppers that provide a single platform to engage, manage, and optimize social commerce for your business.